Get an exclusive trip on Segway and explore the splendor and magnificence of the Unesco heritage Prague Castle and it's surroundings. Get to visit the imperial monuments and typical neighborhoods of the district, which is richly documented by major archaeological sites. Visit the hidden places to show the influences of the First and Second World Wars, as well as get to visit the architectural buildings built in communist period. 2H of the Castle Group tour is an amazing adventure and reach the most positive emotions and get to feel the city vibes. Create your emotions on one of the most unique ways to see any destination you go to! 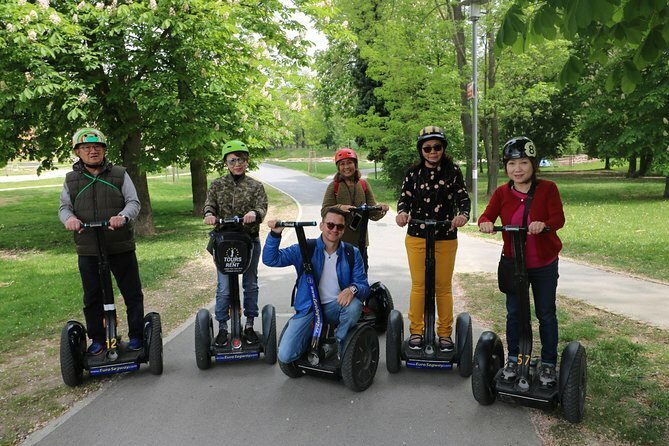 We offer this feature on Segway as an exclusive trip to our guests so that they can explore the splendor and magnificence of the Unesco heritage Prague Castle and it's surroundings. This amazing historical site was built in the 9th century and has become a staple of "Must See" sights in Prague. Get to visit the imperial monuments and typical neighborhoods of the district, which is richly documented by major archaeological sites. Travel up steep slopes and hills of Brevnov area and long sidewalks to get some spectacular views of the city in our Segways. Enter to the highest observation point in Strahov Monastery and get to taste the best beer in the brewery dates from 1400 AD. Your tour guide will lead you to the hidden places to show the influences of the First and Second World Wars, as well as get to visit the architectural buildings built in communist period. Learn plenty of facts, anecdotes, and lore to share with you as you take tons of pictures along the way. 2H of the Castle Group tour is an amazing adventure and reach the most positive emotions and get to feel the city vibes. Create your emotions on one of the most unique ways to see any destination you go to! Segway tours run outside of the Old Town. We use comfortable mini-bus to transfer our customers from the office to the starting point and back. Transfer and training time are not included in the tour time. Planning your day, please make sure to add approx. 30-45 extra minutes for doing this activity. Minimum age is 7. Check kid's weight please! Always dress according to the weather. Winter tires are designed to excel in the colder temperatures, slush, snow and ice that safe to ride on Segway. In case of rain the raincoats are provided, as well as it might be re-scheduled. Contact us by phone or by email before the tour.